Tell your brand’s story through a visually stunning poster or infographic designed for extended, long-term use and reference by your target audience. 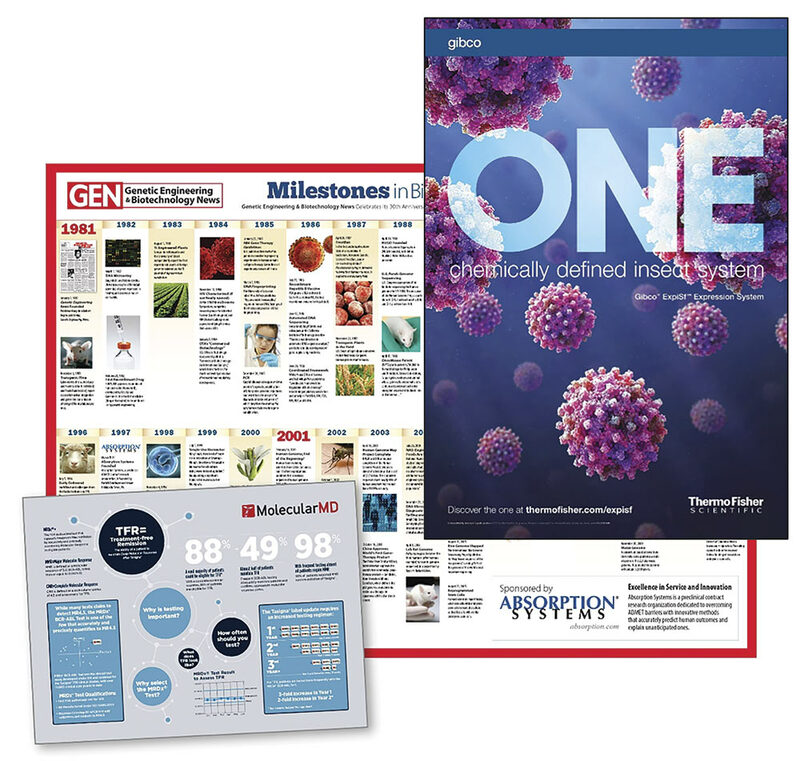 An innovative and forward-thinking way to showcase scientific workflows, deliver key data, and iterate timelines, posters and infographics are distributed alongside GEN Magazine directly into the hands of our qualified subscribers. Maximize your campaign with GEN Facebook and Twitter. Image rich posters and infographics are perfect content hooks on social media.